Stubb was born March 7, 1931, in Navasota, a small town on Texas’ Brazos River, one of 12 children born to a Baptist evangelist preacher and his wife. 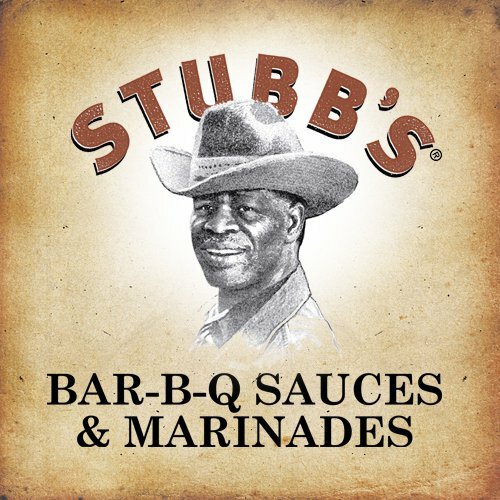 Some say that Stubb inherited his love for cooking from his father who would feed his congregation barbeque along with the gospel. Stubb recalls revival meetings followed by potluck dinners featuring beef, pork and even raccoon and possum. When he was still a young boy, Stubb and his family moved to a farm near Lubbock. Stubb spent much of his youth picking cotton. Take a road trip across the U.S. and you’ll find countless variations on the same tasty theme: meat, slow-cooked with fire and smoke. A truly regional practice, barbecue has evolved over time to reflect the people who cook it and the places they hail from. In the Carolinas, for example, they love mustard sauce and pulled pork. In Memphis, they can’t get enough dry rub. And who could forget about Kansas City? Barbecue is beloved wherever it’s practiced, perhaps nowhere more than Texas. Texans enjoy a sweet, tomato-based sauce, with more than a hint of tangy spice, and they’ll slather in on pork, beef, sausage, chicken, even mutton. More important than what it is, barbecue brings people together. It’s meant to take a long time, so friends can smell it and talk about it, anticipate that first savory bite and celebrate when it’s all over. Fire up those coals! Original Bar-B-Q sauce- This is a tomato based sauce, that is not too spicy, it has just the right amount of flavor and spice for my little girl! Hickory Bourbon sauce- This sauce has a little hickory smoke flavor, it is tomato based, with a dark color that is a bit sweet and a bit spicy. When I think of BBQ sauce I think of the grill, and cooking outside. As much as I love to grill this heat wave we have been having on the east coast is not joke, it has just been too too hot to grill outside! I came up with a great inside BBQ dinner for the family. Since I am a working mother I use my crock pot for slow cooking as much as I can, I made a slow cooked Hickory Bourbon ribs for dinner last night. Cook on low in crock pot for 6 hours, this is simple and delicious! Oh the smell it was just mouth watering! The meat just fell off of the bone, and the flavor of the Hickory Bourbon sauce really came through, this was a hit with my family. I was surprised that my daughter liked the sauce! It has a bit of a tang (not a hot spice though…) and I thought my daughter would turn her nose up at this, but she was a big fan she asked for seconds! The Stubb's Original Sauce is good on almost anything, we love to use it on hamburgers, ribs, chicken, and as a dip for just about anything! Stubb's offers many flavors of BBQ sauce, marinades and rubs. The BBQ sauce is for sale are local realtors and online for $8.00 for 2 bottles, not a bad deal. I will have to pick up the Pecan Barbeque flavor, that sounds right up our alley, it sounds good. Now wouldn't you love to try the sauces too? 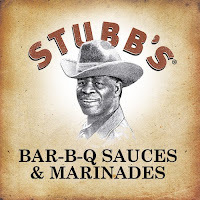 Stubb's has offered one of my readers a prize pack from Stubb's! One winner will win a Stubb's Gift Kit! Please let me know what flavor you would love to try! Please complete the mandatory entry or the other entries will not count. Thanks. Please leave a separate comment for each entry, and include your email in each entry. (1 entry) Follow me on Twitter and leave your user name. (2 entries per day) Tweet this giveaway and leave a link. Be sure to include @Suelee1998 in your Tweet or your entry won’t count. Winner will have 48 hours to reply to my email or another winner will be drawn from random.org. I would love to try Stubb's Spicy BBQ sauce sometime. I followed Stubbs BBQ sauce on twitter. The honey barbeuce sounds really good. I've used the pork marinade before and it rocks. Anything Stubbs is good. I'd love to try Hickory Bourbon. I'd love to try Honey Bourbon...YUMMERS! Thanks for teh great giveaway. like Stubbs on FB...Meghan W.. I would most like to try Hickory Bouron. Probably the honey barbecue. Thank you. I would love the Hickory Bourbon sauce! I love anything spicy, so the Stubb's Spicy BBQ Sauce sounds delicious! I voted for you on Picket Fence Blogs today! I voted for you on Picket Fence Blogs today. I would love to try the Honey Pecan BBQ Sauce. I just voted for you on Picket Fence Blogs. I would like to try the Hickory Bourbon sauce flavor. I would love to try the Smokey Mesquite flavor. I am a fan of Stubbs via Facebook as Jill Myrick. 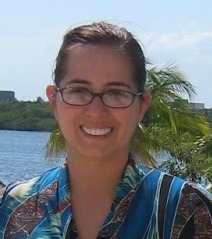 I am following Stubbs via Twitter as jlsc123. I voted via Picket Fence Blogs. I would love to try honey barbecue! The Hickory Bourbon sauce sounds amazing! I would like to try the hickory bourbon. Would love to try the smokey mesquite! Liked Stubb's BBQ on facebook! I would love to try the Hickory Bourbon sauce. I'd like to try the Hickory Bourbon. I'd like to try the Original Bar-B-Q sauce. The hickory bourbon BBQ sounds great.Thanks! I would like to try the Hickory Bourbon Sauce. I would love to try the Stubb's BBQ Sauce, Honey Pecan.